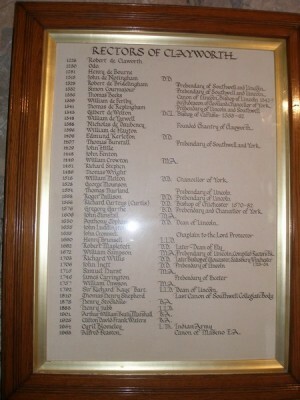 There are two framed documents listing the Rectors of Clayworth from 1226 to the present day. 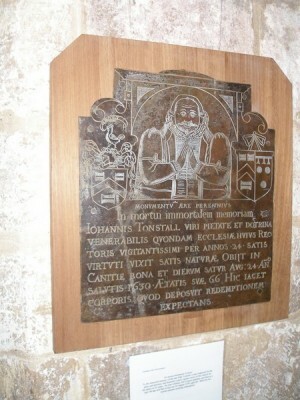 There are a number of tributes to members of the Otter family who resided in Royston Manor (to the south of the church, adjoining the canal). 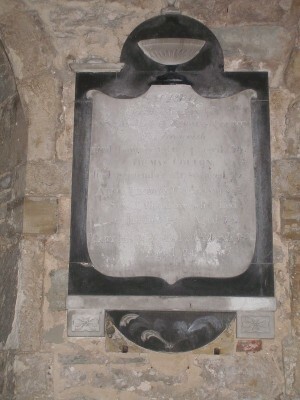 These are grouped to the south of the tower, to the left of the main door. 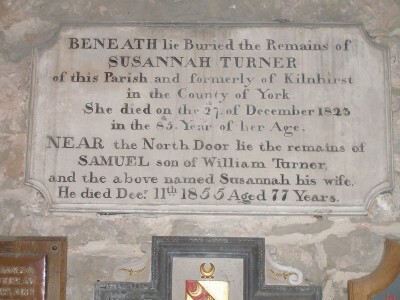 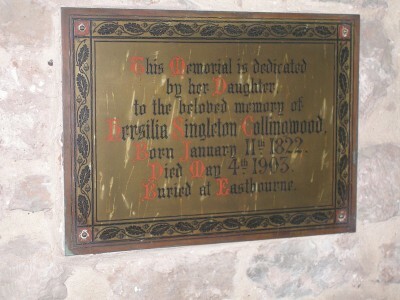 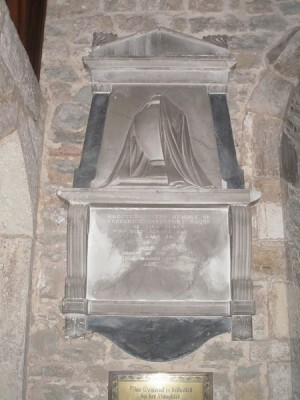 Thers are numerous memorials dating throughout the ages to record the passing of local people. 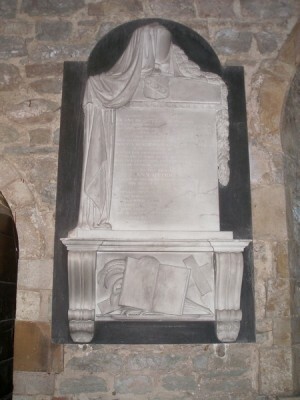 Some of the older memorials are worn and difficult to read more recent ones are still in good condition. 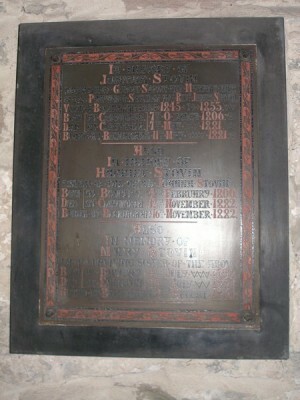 A few of thes memorial plaques and brasses ar shown below.